(b) Pinch the retainer of the fuel tube connector, and then pull the fuel tube connector off of the fuel pipe. Cover the fuel tube connector and fuel pipe with plastic bags to prevent damage and contamination. (c) Remove the fuel tube sub-assembly from the fuel hose clamp. 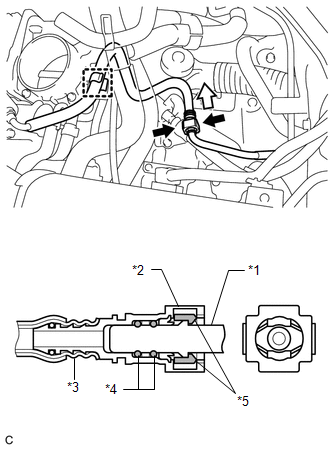 (a) Disconnect the 4 fuel injector connectors. (c) Remove the 2 bolts and separate the 2 wire harness brackets. (d) Disengage the clamp to disconnect the wire harness. 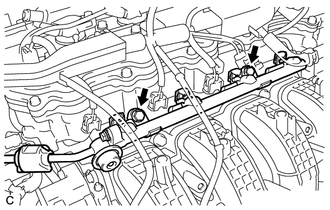 (a) Remove the 2 bolts, and then remove the fuel delivery pipe together with the 4 fuel injectors. 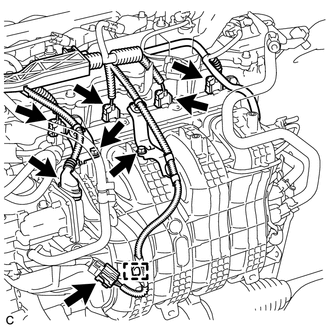 Be careful not to drop the fuel injectors when removing the fuel delivery pipe. (b) Remove the 2 fuel delivery spacers from the cylinder head. 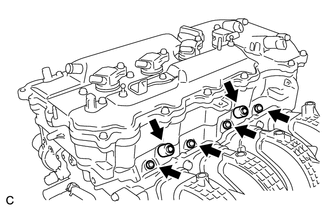 (c) Remove the 4 injector vibration insulators from the cylinder head. 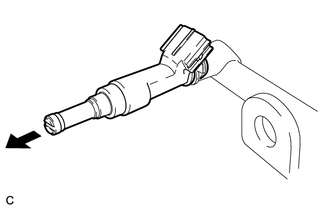 (a) Pull the 4 fuel injectors out of the fuel delivery pipe. (b) Remove the O-ring from each fuel injector. (c) For reinstallation, attach a tag or label to each injector shaft. Prevent entry of foreign matter by covering the fuel injectors with plastic bags.